In a growing number of organisations, Livework sees how the brand starts to play an interesting role in the design and delivery of services. In this article we share our thoughts on brand driven service innovation and how it has brought focus, cohesion, long term relational value and competitive advantage for 4 recent clients. We will highlight the benefits of integrating brand thinking in your CX efforts. 1: Brand promise is dead. Long live brand fulfilment. One of our clients in the mobility sector is the proud owner of a powerful brand, that allows for strong and consistent marketing communication. Customer satisfaction surveys however repeatedly showed that their customers were underwhelmed by the delivery of the services. The discrepancy between the expected and actual experience made it worse; the power of the brand turned out to be its disadvantage. Livework then used the brand carefully to meet and exceed expectations in a very tangible way, which led to increased brand loyalty and preference. The discrepancy between the expected and actual experience made it worse; the power of the brand turned out to be its disadvantage. 2: Be consistently different throughout your customers’ journeys. A challenge one of our clients in the financial sector faced was to understand how to prioritise investments between the many customer journeys their services comprised. Livework was able to help this client by using their brand as a foundation to both identify key journeys and redesign them. Over time we helped architect their many journeys to be the most relevant in their different contexts. 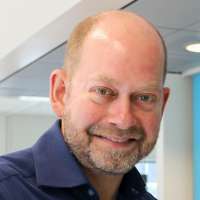 But then the brand was needed to bind all the journeys together in a cohesive omni-channel experience to stand out and be meaningful to customers at the same time. Multi-channel strategies focus on engaging customers across multiple touchpoints. 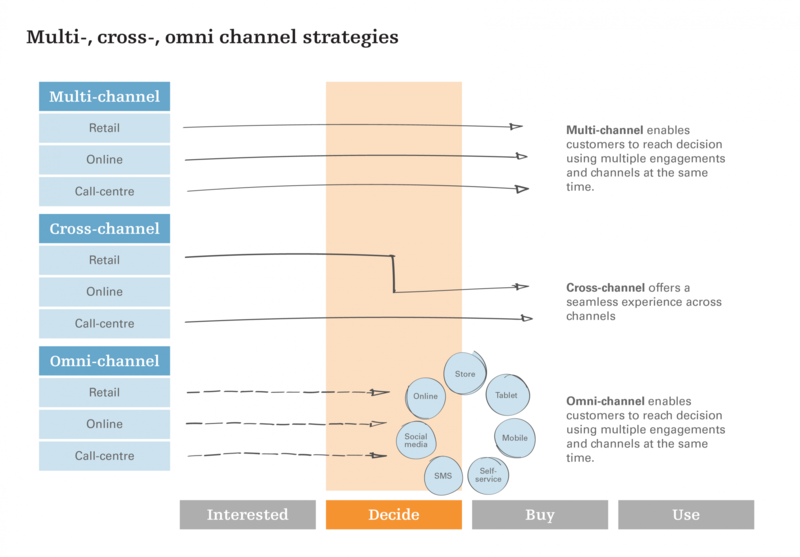 Often, each channel has its own strategy and is managed separately. 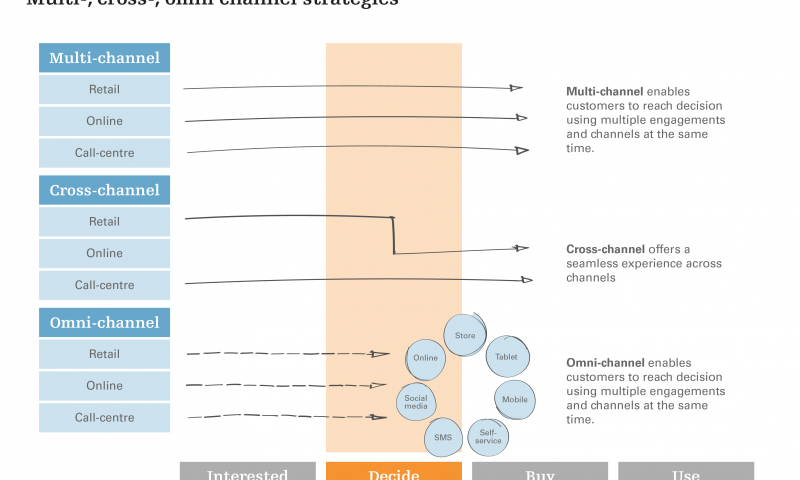 Cross-channel strategies, however, allow customers to navigate various channels to complete a transaction. Omni-channel strategies further improve customer satisfaction and build brands by offering a consistent and integrated experience for their customers across channels, sales platforms and media. 3: Learn outside in. But first, focus inside out. When another client, in the lifestyle industry, asked Livework to do contextual insight research to explore opportunities for service innovation, we used the brand to understand what specific part of their customers’ lives we should investigate. In order to find relevant opportunities only, we acknowledged the organisation’s purpose should be the point of departure. The brand worked like a magnifying glass that showed us exactly those human traits that our client needed to understand better in order to deliver improved services. Right from the start, it created the focus that is required for moving fast in a highly competitive environment. It created the focus that is required for moving fast in a highly competitive environment. 4: Build a shared language that builds great CX. 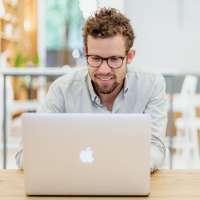 A fourth client, from the e-commerce sector, was not able to deliver consistency throughout their services, leading to suboptimal customer experience. Livework noticed that the product owners lacked a clear, central understanding of what their products should add up to, so we advised them to use their brand as a central linking pin. We helped them create a narrative language that is shared between all internal stakeholders invested in services. In our work throughout the organisation it turned out that using the brand’s narrative as a central delivery platform brought inspiration and aspiration. But more importantly it brought a shared strategic focus and a strong alignment on purpose. The brand as a lens. What all these cases shared was the use of guiding principles. For Livework, the use of strong guiding principles that are rooted in customer and brand insight is key in all our brand work. They form the missing link between brands as they live in organisations and desired experiences as they live in the hearts and minds of customers. Guiding principles help organisations answer customer wishes with focus, clarity, purpose and authenticity. Brand personality says something about who you are. Brand values say something about what you believe in. Brand guiding principles say something about what you are willing to do in order to meet a customer’s wish and how you will go about doing that. Advanced guiding principles help you set up meaningful metrics to measure success for both you as well as your customer. Service design methodologies will get you halfway to winning the customer’s heart. It’s the organisation’s personality and brand DNA that will make you stand out and be loved. 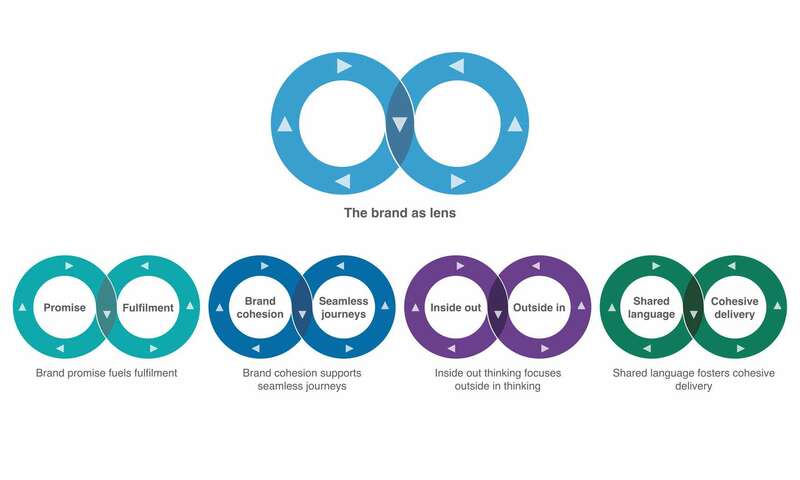 The brand brings focus and cohesion to customer experience innovation. Over recent years and across industries, Livework is happy to see brand and service thinking come together. In the above cases we illustrated how the brand is useful in designing services in various ways. All these uses are not just nice to have. They grow your business by building preference and loyalty and de-risk innovation by increasing focus and alignment. To put it more passionately, we believe that customer insight research and service design methodologies will bring you halfway to winning the customer’s heart. It’s the organisation’s personality and brand DNA that will make you stand out and be loved. After the release of ‘Brand Driven Innovation’ in 2010 Livework has applied its methodologies to the challenges faced by many different clients in various service sectors. We would love to show you these cases over coffee and see how branding can help you deliver great customer experience. The cross-functional brand driven approach helped achieve very strong buy-in across the teams. The approach had a lasting impact on our internal alignment and helped deliver the services and experiences that match our customers’ needs. Want to continue the conversation? Get in touch.